My people, great to be reconnected again. How have you been? Keeping well? Holding on? Trusting God? Fanning the flames of hope? Enjoying life? Working hard? Whatever it is, I hope you are loving yourself and allowing God to love you because that is what really matters. 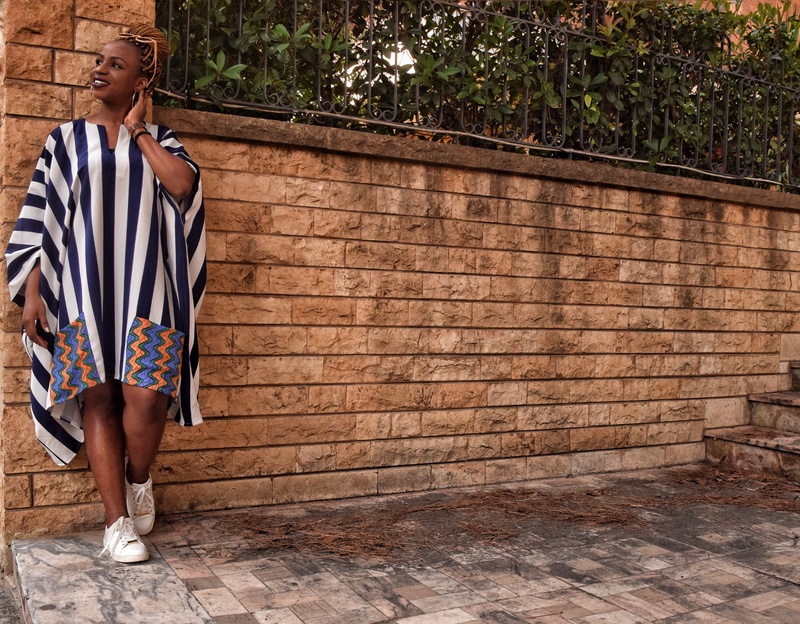 I am still going through my transition period at work and I recognize that in this season, the key thing is for me to put my head down and learn the work. I have very little time for extracurricular activities and I have had to turn down invitations/requests I ordinarily would have jumped at. 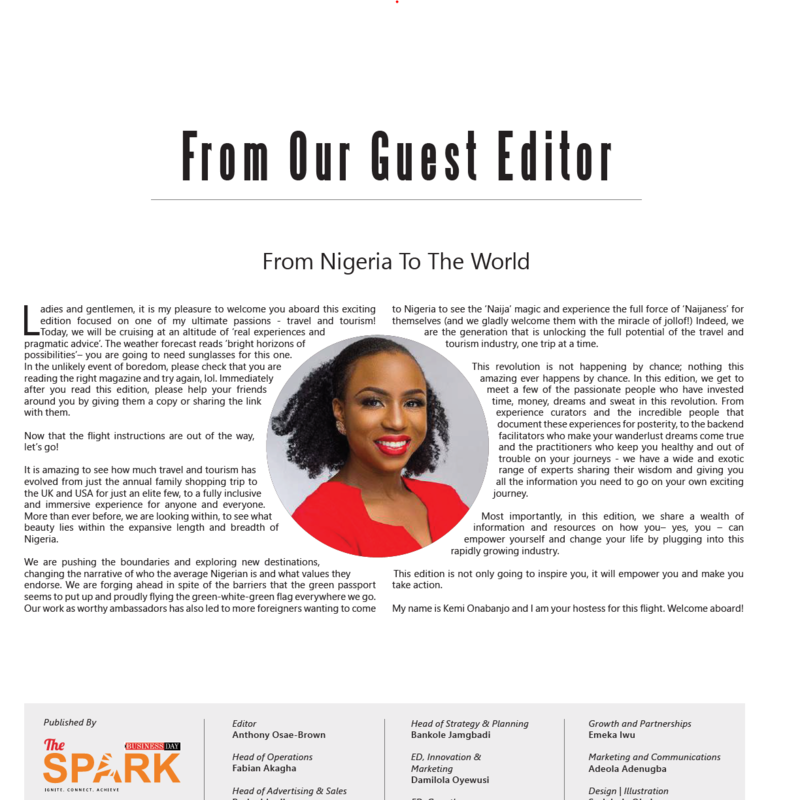 However, there was one request I could not refuse – being the guest editor for the August edition of The Spark by Business Day magazine. Remember I was a contributor in the July edition? It was therefore a pleasant surprise when they asked me to be the guest editor for the August travel and tourism edition. You know me – it is tough to say no to anything travel so I accepted the request with joy. I could not have been prouder when I read the final product (download it here). I think I am about to add ‘guest magazine editor’ to my CV, lol. Seriously though, the wealth of insights and information in the magazine is incredible! I have learnt so much from the different articles and I encourage you to read it – it is a very JUICY edition. 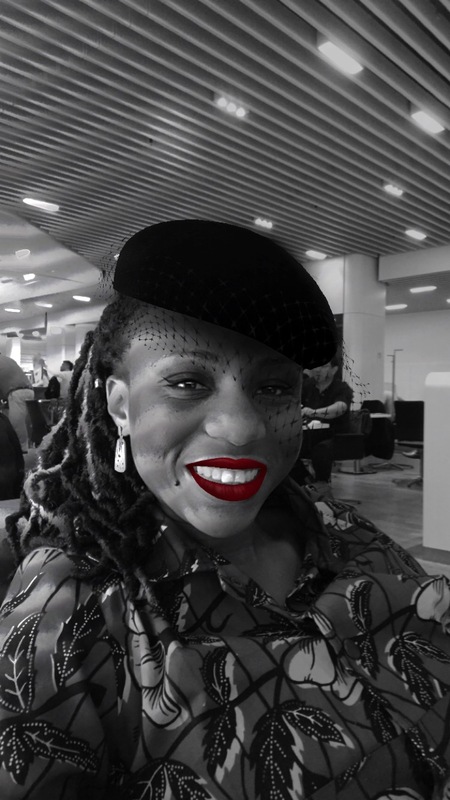 Guest editor (or maybe flight attendant) of life! 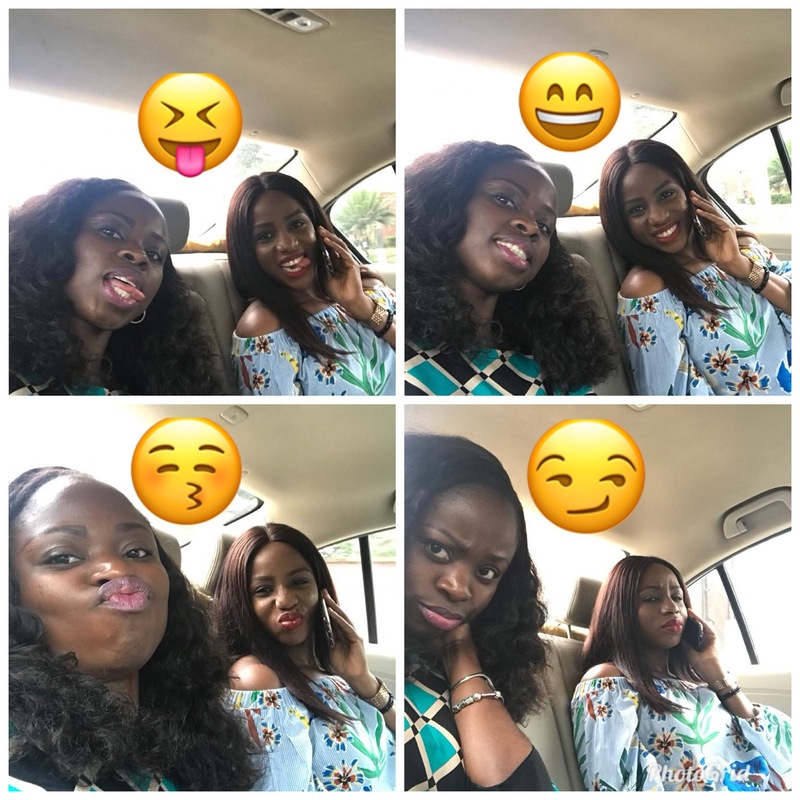 To be honest, I have sometimes wondered (and some people have even questioned) what role I really play in this travel/tourism industry – I don’t plan trips, I don’t do flight or hotel bookings for people, I don’t even write reviews of places, nobody gives me free trips anywhere, I just dey sha! Lol. 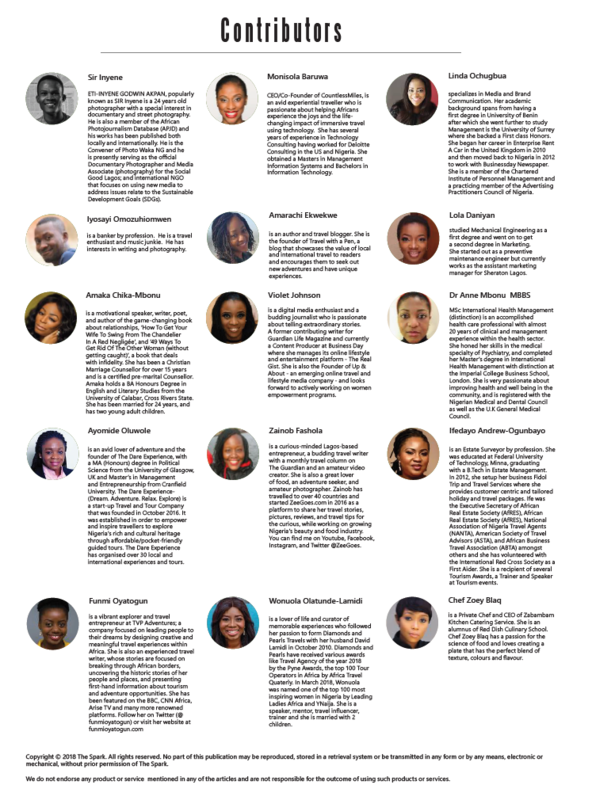 In the process of thinking through the content and contributors for the magazine, I realized how connected I am to the industry and that I know quite a good number of the practitioners across the Nigerian travel value chain (way beyond my Instagram feed). And then I thought to myself, “perhaps, your role is to shine the spotlight on these people”. I am grateful for the privilege to play this role and I am perfectly okay in my ‘friend of the industry’ lane. In other news, it seems like the travel/tourism industry is dominated by women. It was such a struggle to find men. Abeg, where are the men in the travel/tourism industry?? 15 contributors, only 2 men! Wow!! Speaking of travel/tourism, I am very grateful for all the people who have made it their life’s work to make travel easier for lazy people like me. My latest travel hack is group trips o! My people, I have found the answer to laziness in planning, begging for friends to travel with me and fear of going to some strange places alone. The answer is simple – JOIN A GROUP TRIP! 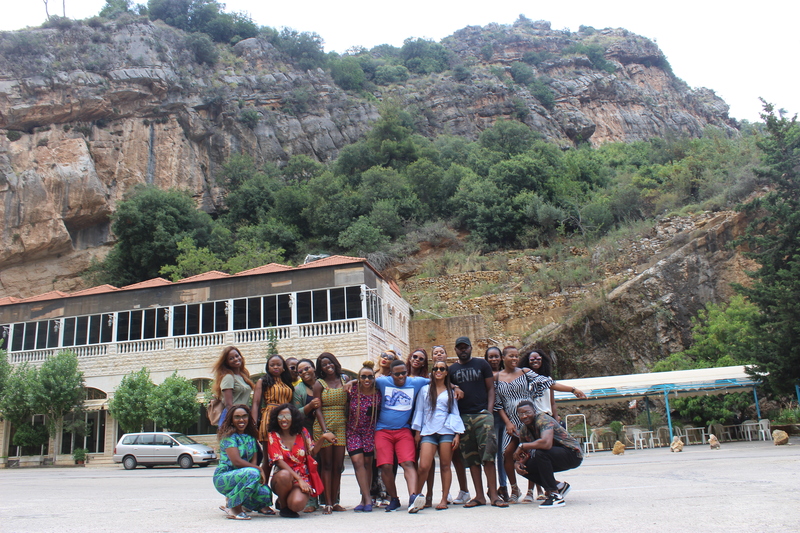 My trip to Lebanon was a group trip organized by Naija Nomads; she is all about taking people to green-passport friendly international destinations (no time for visa wahala abeg) and Lebanon made the cut for 2018. I did not know what Nigerians could get a visa on arrival in Lebanon! Whattttttt???? I was so excited when I found out but trust me to check and double-check and check again. I can’t tell any deportation stories please, plus I don’t want to ruin any visa applications with any deportation stamp on my passport, lol. No time for visa drama! Anyway, Lebanon gives visas on arrival for Nigerians – all you need is the $20 visa fee, your return ticket, confirmed accommodation and proof that you have $2,000 of spending money. Hahahahaha. It was at that $2000 point that the matter wanted to have K-leg but NaijaNomads saved the day and showed the immigration officers that we had booked and paid for all our activities, so we did not need to show $2,000 each. Pheeew! What a relief because I definitely did not have that money anywhere, lol. Thank you Jesus! 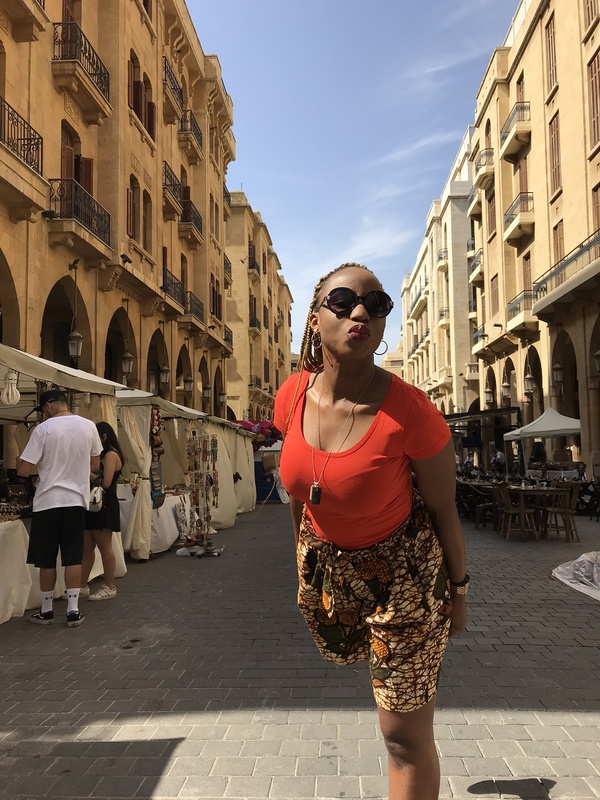 We flew from Lagos to Beirut via Ethiopian airlines and I found it very interesting that most of the East African carriers have daily flights to Beirut – daily!!! I was wondering, who goes to Beirut? Apparently, it is a popular destination so getting there from Nigeria/Africa is very straightforward, even more straightforward than getting to some neighboring West African countries (side eye to Cape Verde, lol). We got to Beirut in the middle of the night and as we drove to the apartments, it felt like we were in a North African country. It looked like Tunis to me and the folks who had been to Morocco said that Byblos reminded them of Marrakech in Morocco. Could we then say that Lebanon could easily have been a North African country? Hahahaha. I know I am reaching a bit here but just indulge me. 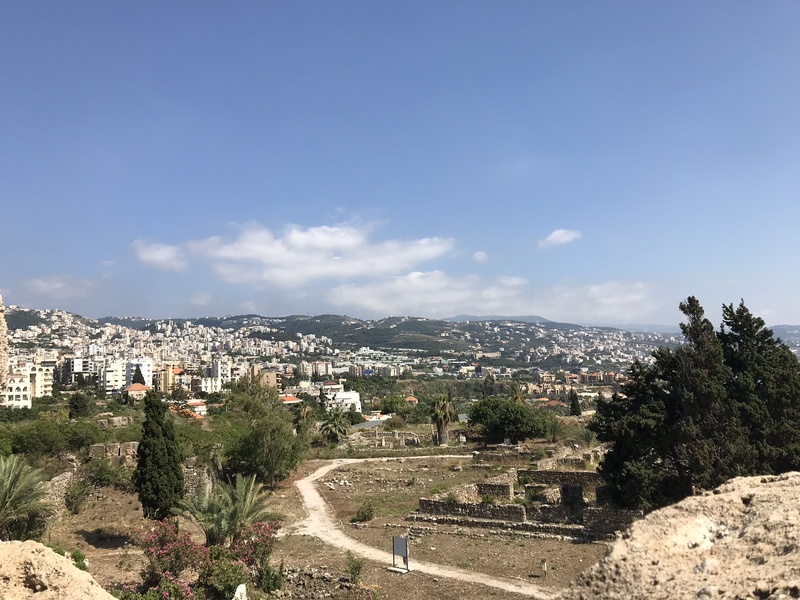 Byblos views from the castle top! 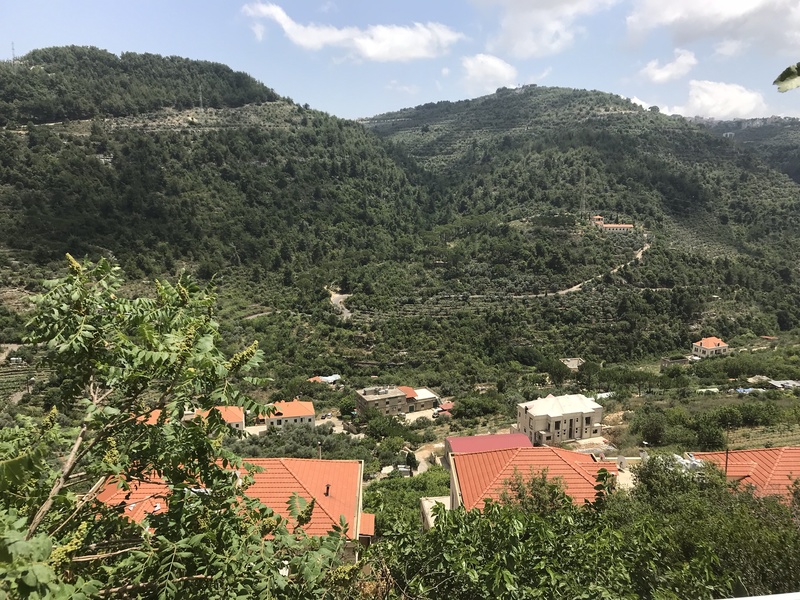 New experiences: Our itinerary took us to 7 cities (Beirut, Byblos, Batroun, Jouineh, Tyre, Deir-el-Qamar and the Cedars of Lebanon) over 5 nights. If I was planning that trip myself, I would not have gone to all these places. Remember I don’t like long road trips so once I hear a place is a 2-hr drive away, I just give up. But being with the group made me sit on buses for hours and chatting with different people made the time fly by quickly. I also would probably not have booked a cabin in the mountains for myself but that experience was beautiful. Being on a group trip makes you leave your comfort zone. Between wanting to get the full value of your money and not wanting to be the odd one out in the group, you will leave your comfort zone and try new things. You know the best part of it – if you don’t want to try these new things, you are free to opt out and be the one taking photos for the rest of the group, lol. It is always a win-win for everyone. 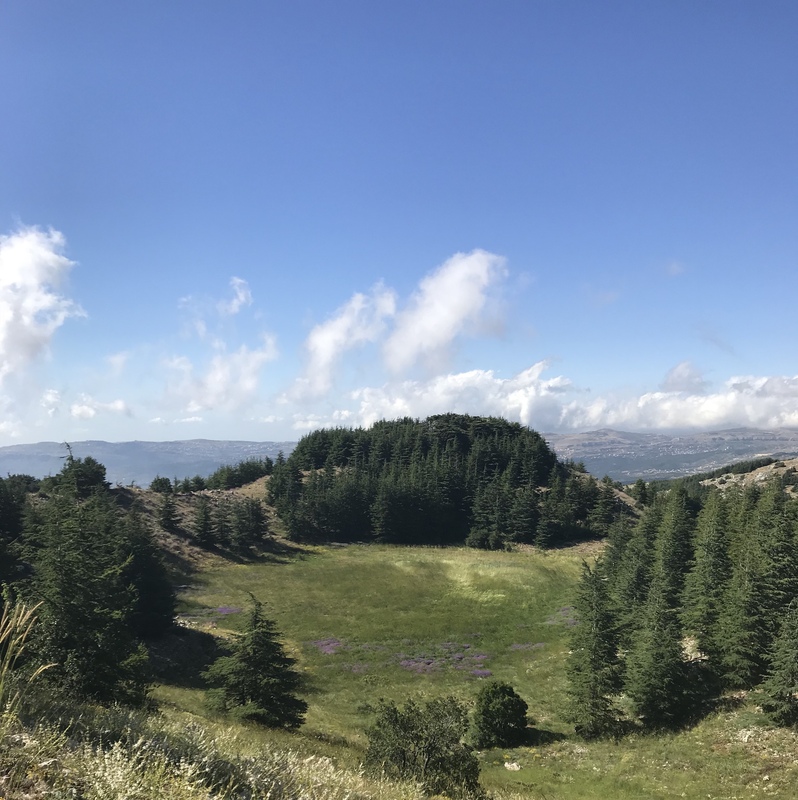 The drive to the Cedars was looong but totally worth it! NaijaNomads also baked in freestyle days into the itinerary where people could go solo and do whatever it is they wanted which I thought was cool. It did not feel like an excursion because we had the liberty to opt out or ride solo on some days. That was also the unofficial free time for the shopaholics to go get their fixes at the mall. No names mentioned. Finally, being in such a large group ensured there was never a dull moment. 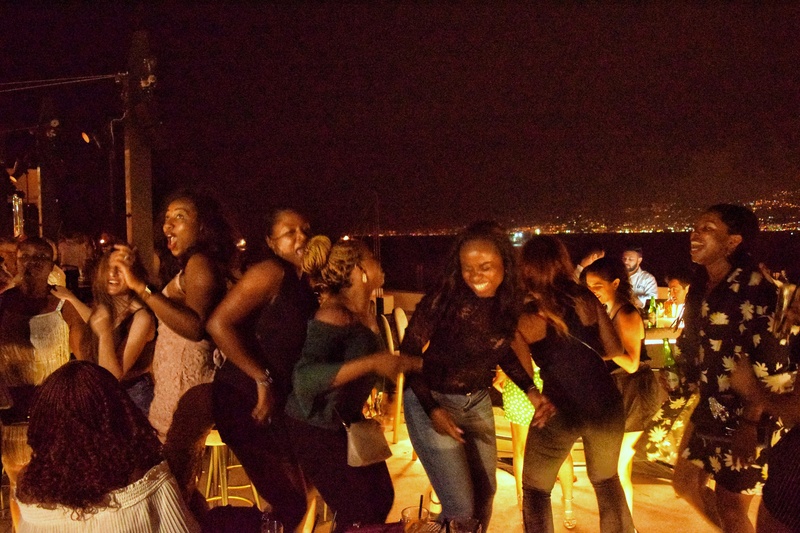 One night we went to a rooftop bar and managed to get the DJ to play ‘Legbegbe’ – the noise that ensued from that made the police come to check if everything was okay. Put 20 Nigerians in one place and it becomes a carnival. The next day we went to another rooftop bar to comfort ourselves after the painful defeat in our first World Cup match against Croatia. This time when we could not convince the DJ to play any Nigerian music, we started singing our own songs on top of the whatever beats he was playing – karaoke by force! Lol. New people: The best part of being in a large group (20 people) was the diverse and eclectic mix of human beings I got to meet. Hehehehe. All my group trip experiences have been very positive in this regard. The Social Prefect Tours Idanre Hills group of 2016 are still ‘cousins’ till today (we celebrate our 2nd year anniversary in a few days). The Lebanon class of 2018 was not an exception. Gosh, we were never short of entertainment, hahaha. Just thinking about the group as I write now is making me crack up. The squaaaad – getting a photo where everyone was looking and ready was a STRUGGLE!!! 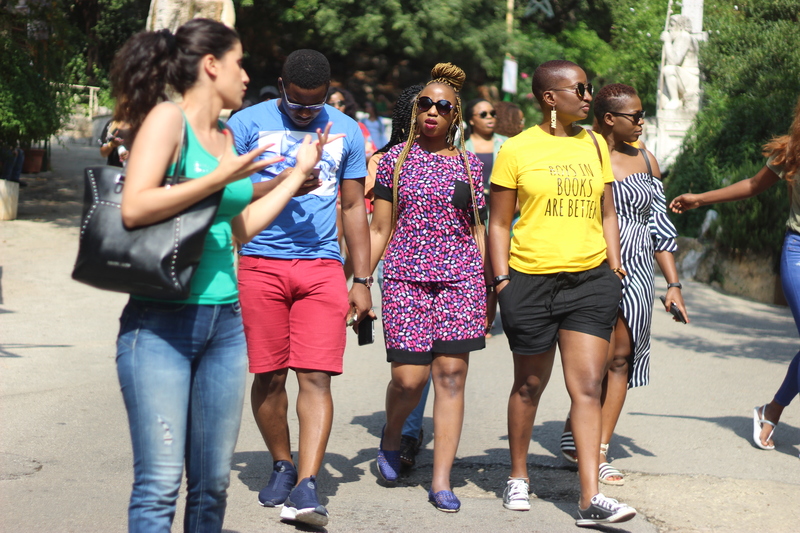 We had the slay queens – always dressed to the T and a refreshing sight for sore eyes. I have respect for these ones just because my default mode is to be super casual when on holiday. We had the gist machines – back of the bus entertainers – who always had stories to tell us. Meal times were always LIT!! We had ghost nomads – now you see them, now you don’t. These ones usually disappeared at night and would come back in the morning with crazy adventure stories. Blood of Jesus! Of course, when single men and women are gathered, there are ‘ships’ being built, so we had one couple we are still suspecting. 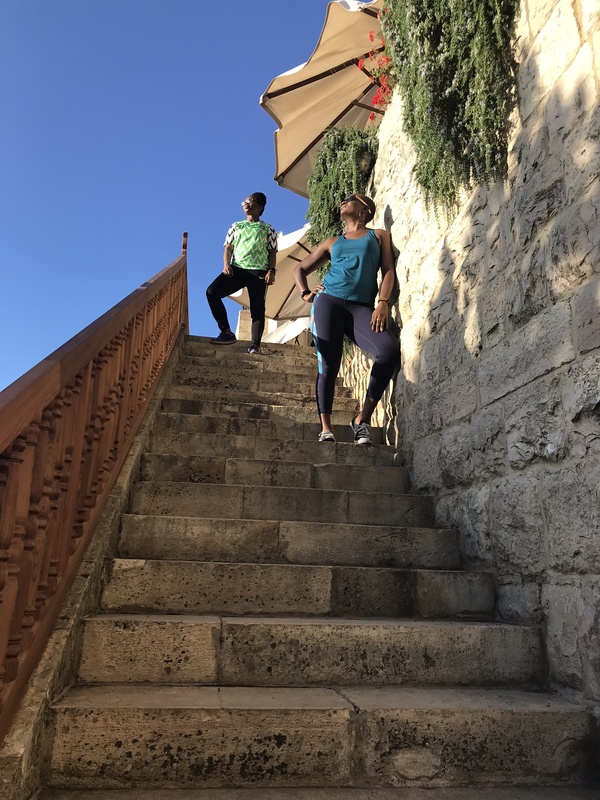 We had the Instagram models – always finding IG worthy picture spots and taking 20 million photos of the same pose, hehehehe. Let me not lie, I benefited from the tutorials they gave me about ‘unlooking’ and ‘elongating’ and all these other hectic things that make photos pop, lol. We had the amateur and professional photographers who were the best friends of the IG models and always sacrificially took tons of photos for them. We had the accurate time keepers who were always punctual and on the bus on time and never failed to remind us of the itinerary and when we had to leave a place (much to the chagrin of the IG models who were busy taking photos) and whose patience were continually tested by the late comers. 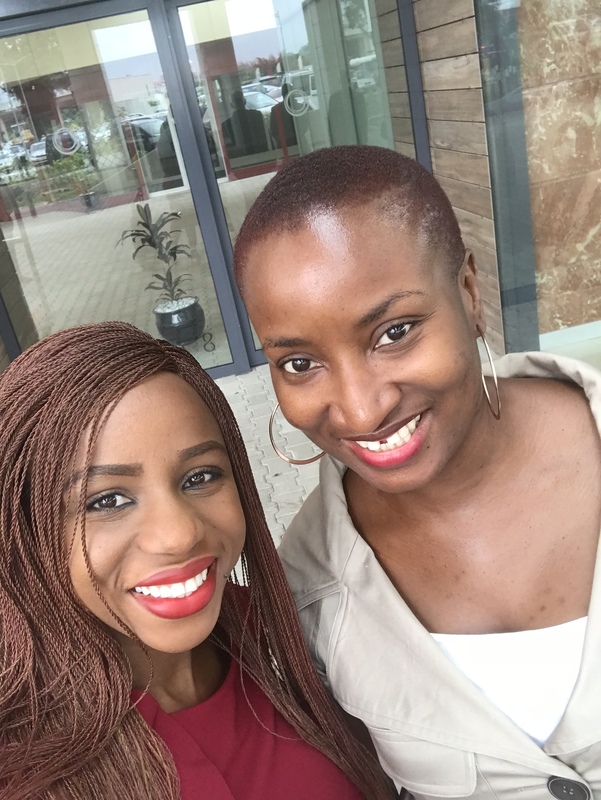 Then there were the late comers– sources of headache and heartache to the accurate time keepers and Naija Nomads herself, lol. 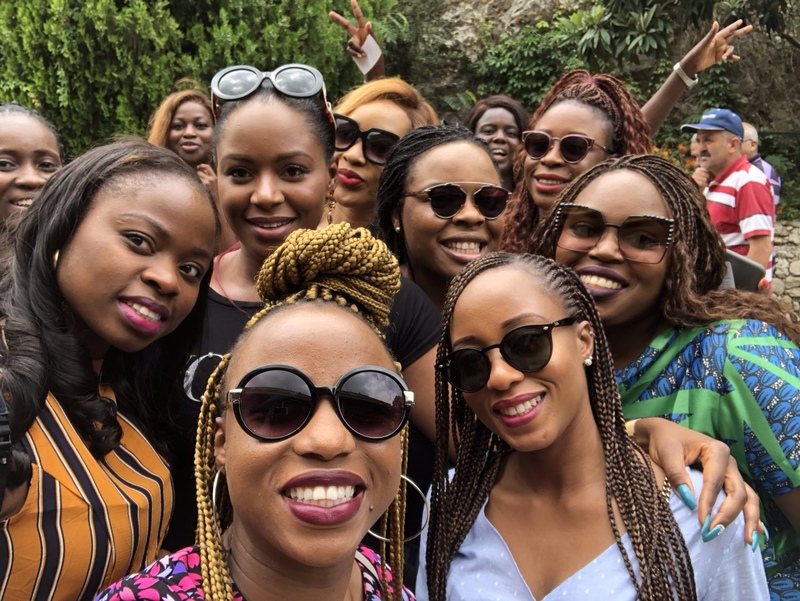 Naija Nomads has sworn off 15+ people group trips because of this experience. Getting 20 adults on a bus on time is a miracle and even when you give fake time, some people will still be late! I told you group photo taking was a STRUGGLE! Finally, we had the project managers – taking turns to handle the thankless job of splitting lunch and dinner bills. God bless the project managers o! Regardless of all the ups and downs, it was just a hilarious bunch of characters and I enjoyed being with them. The special thing about the group was that we didn’t bring our cliques to Lebanon. Even though there were 2 sets of siblings, childhood best friends and other close friendships within the group, we all mixed and connected with other people. Folks hardly sat in the same place on the bus because every ride was an opportunity to get to know someone else better. I managed to connect deeply with about 3 people and I am grateful for them. They have made the tapestry of my life even richer and I look forward to seeing how these friendships will evolve over time. For me, I just realized that the world is even smaller than we think and it is important to be good and leave a good experience with everyone you meet. Within the group, someone was a former client, some other person was a classmate from university and someone else was the ex-girlfriend of an ex-toaster of mine, lol. Imagine if I had behaved badly in past interactions, we would have just brought some negative energy to the group which might not have helped the overall dynamic. 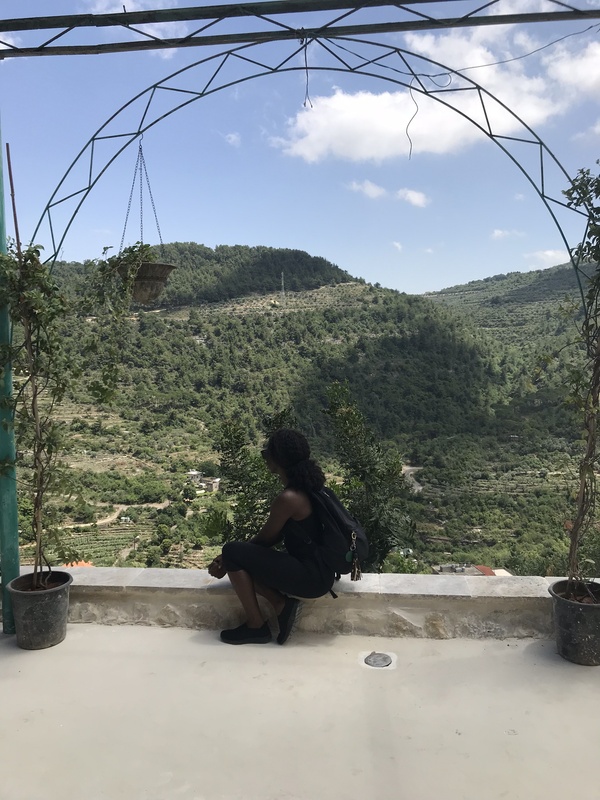 New perspectives: As we all talked and shared our different experiences, it was so fascinating to see how despite having very different world views, we got along reasonably well. There were some heated dinner-table arguments that I thought would explode in all our faces, but by the next morning, everything was ‘hey okay’ again. 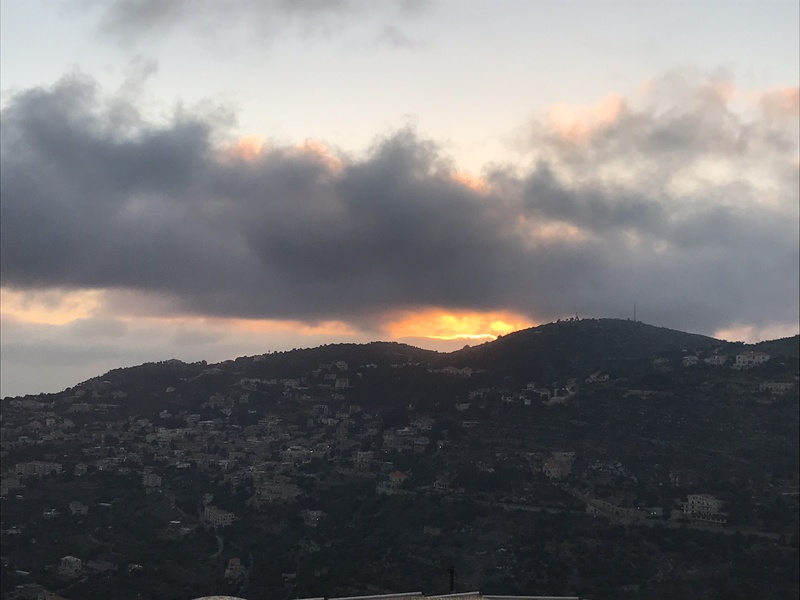 Lebanon also opened my eyes and my heart more (not every country does that to me). All I had known of Lebanon before visiting was that it was war-torn and in ruins. Oh, how wrong I was! 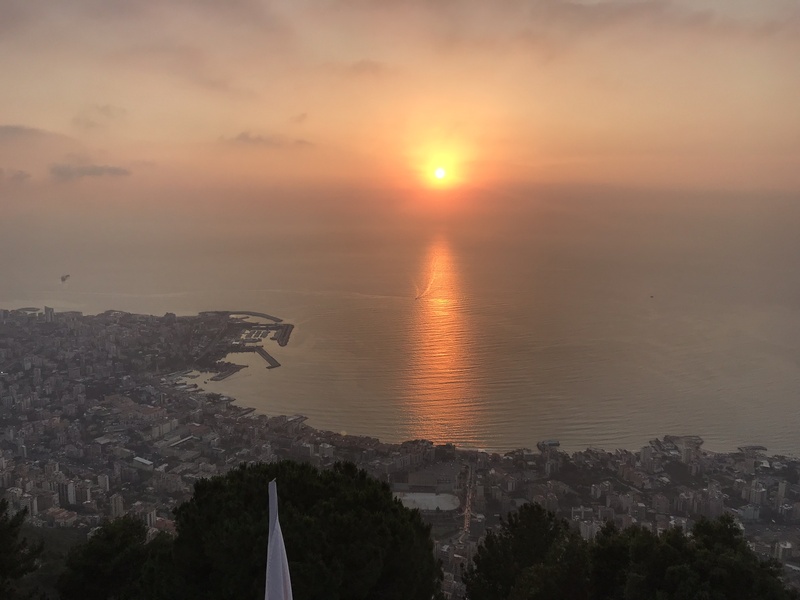 Lebanon is beautiful – it is the country of stunning sunrises and breathtaking sunsets. It is the land of the mighty cedars and white pebble beaches. It is the country of great food bursting with flavor and mighty watermelons. It is also the country with worse driving than Nigeria and over-inflated food bills, lol. I now see why there is a large thriving Lebanese community in Nigeria – we are distant cousins. 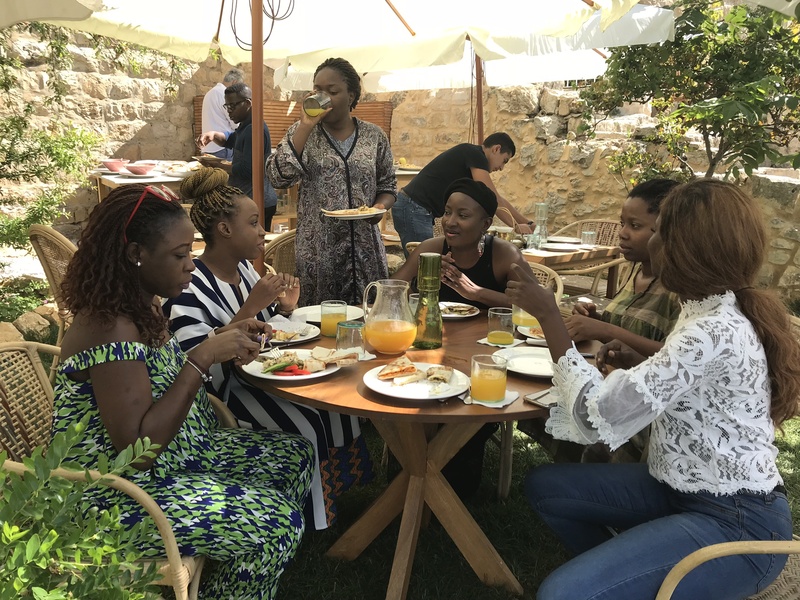 Almost every Lebanese person we met had either spent time in Nigeria or had a family member or friend in Nigeria and that made them super friendly towards us. 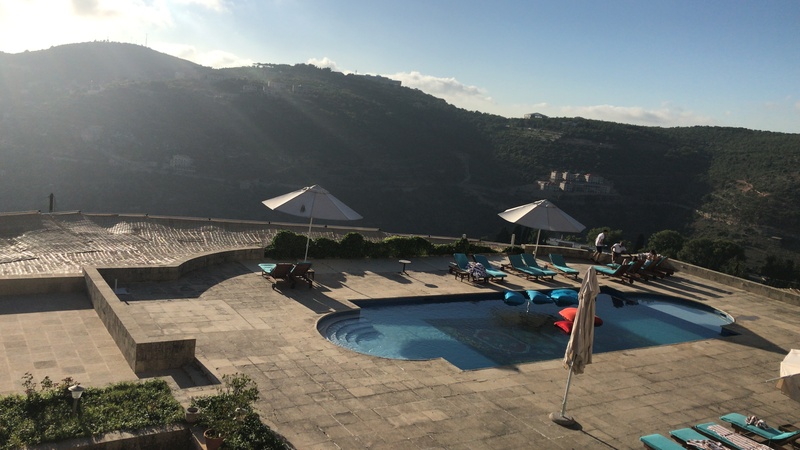 Alright people, that’s the Lebanon trip beyond what I shared on IG stories (they are still in the highlights on my page so you can check them out again). Sorry it took so long – no vex. Moving on, I am looking forward to Mozambique in December with Naija Nomads again. Details are on their website here and I think we have 1-2 months to pay up. So, don’t dull o, let’s go to Mozambique in December!!! 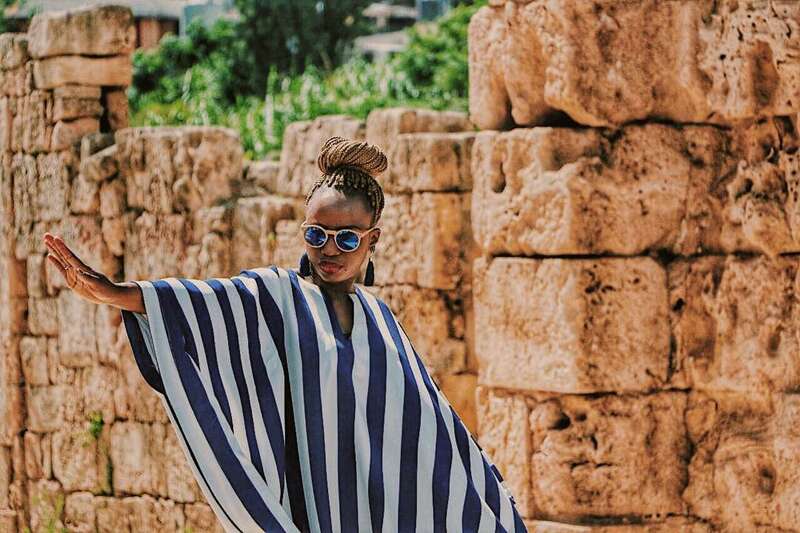 Her 2019 calendar is out and it includes Namibia, Sri Lanka, Turkey and a few other locations yet to be confirmed. I might just take the whole year off work to travel with Naija Nomads, lol. Remember that at the end of the day, the whole world is one big family and we all need to love one another fiercely. We are not guaranteed tomorrow so please love deeply, laugh from your stomach and enjoy every single day you are privileged to see. Finally, the blog is going to be 2 years old in a few weeks and I cannot believe it! Thank you for the constant encouragement, for the comments and for all the support. Sharing my life with you has been a privilege and honor and I remain eternally grateful. Maybe we should do a 2nd year blog-versary giveaway. What do you think? What would you want? Share with me in the comments section and let’s see what Jesus will do. Thank you again and I love you all! p.s – I am in Malta now (country 38, yaaaay) and I need you to join my faith with yours that the post will not come in December, lol. As usual, there are IG stories up so enjoy those while the post is cooking. I also have plans of featuring some guest posts on the blog, so look out for that and show them some love. 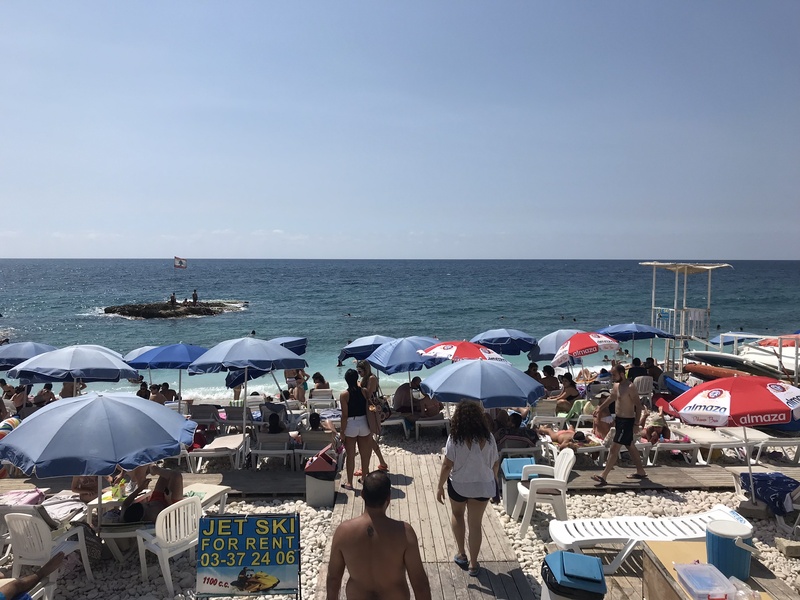 This is one post I ve been waiting for Kems, because you guys peppered us with pictures from Beyrouth. It’s good to know you ve perfected the onlooking pose, it is a must learn something. As part the group trip travels, it’s something that I ll try hopefully moving forward, I think I m a socially awkward person, sad thing is that I used to be a talkative kid, so stepping out and doing this or meeting new people would be fantastic. We are looking forward to the Malta post and all I can say about Mozambique is “take me along”. That can even be your 2nd anniversary gift to us.. Tans so much in advance..
You? Socially awkward? I would never have imagined that you describe yourself that way o! 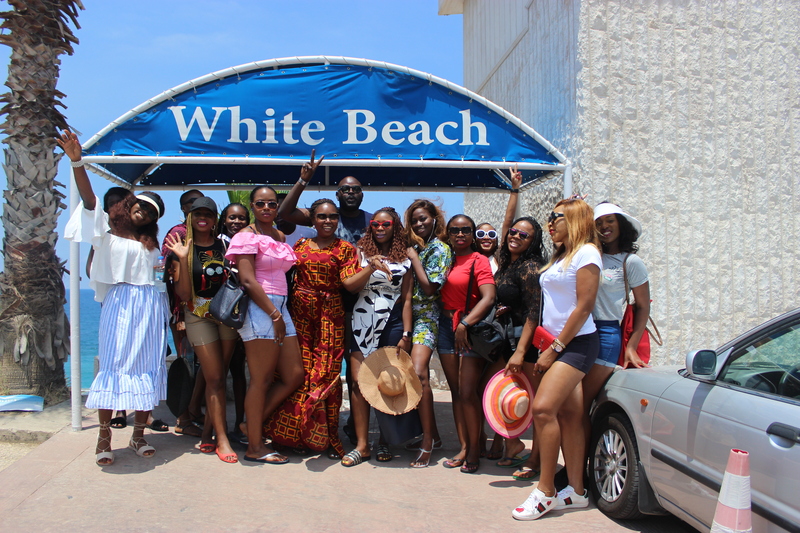 But anyway, I am glad you are embracing group trips as a way to step out! You will love it!!! You better start saving for Mozambique o – because if we do it as a giveaway, which algorithm will we use to chose? Lol. Thank you as always for your kind words, Jay! And I would be more than delighted to have you feature on the blog – just tell us when you will be ready for us. Amen!!! Giveaway idea- Take C on one 2019 NN trip. You know you want to :). You write beautifully. Hahahaha! My sweeth engel – you know we are stucked together for life! So anywhere you go, I follow! Lebanon on my mind! Yes to giveaway….I want a free ticket to Mozambique with Naija Nomads in December…or at least 70% payment…thank you as you are used by God…you know I love you! Fifi, do you love me? Lol!!! Hehehehehehehe! I want a free ticket to Mozambique too! Will you let Jesus use you? Thanks for stopping by. I will be back for more realistic ideas for the giveaway. Deal? Yay this was a surprise post! Wow I’m just impressed at the different layers to this Bey trip! It sounds like a lot of fun and great bonding ! 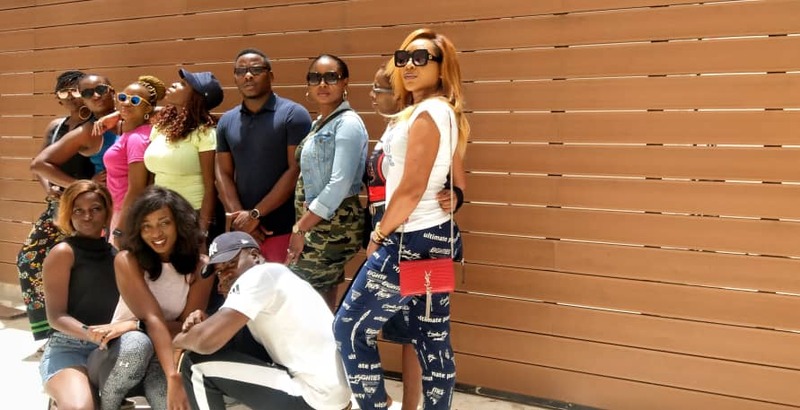 Congrats to Naija nomads on another successful trip and to you on your unlocking pose 😉. Hahaha! I know! I was quite surprised myself as well, but we thank God for making it happen. 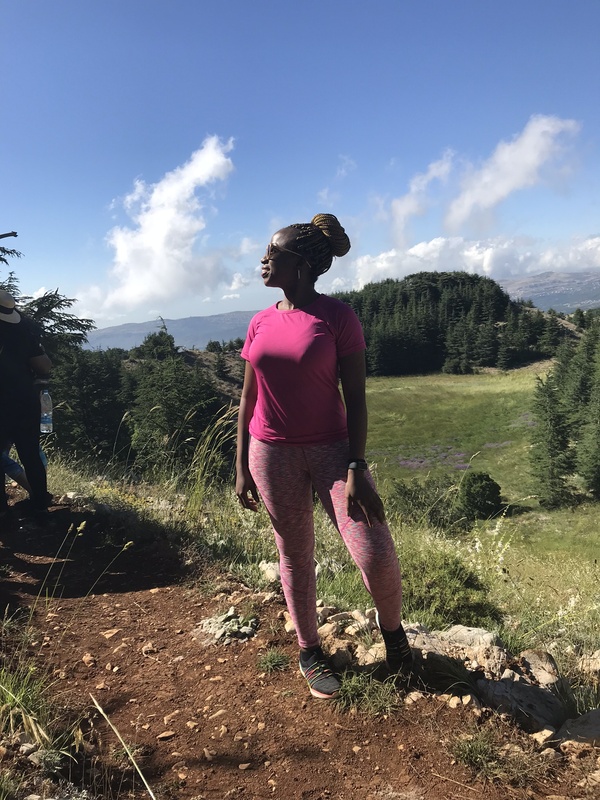 The Lebanon trip was definitely like an onion – as I dug deeper, I realized how rich that experience was. 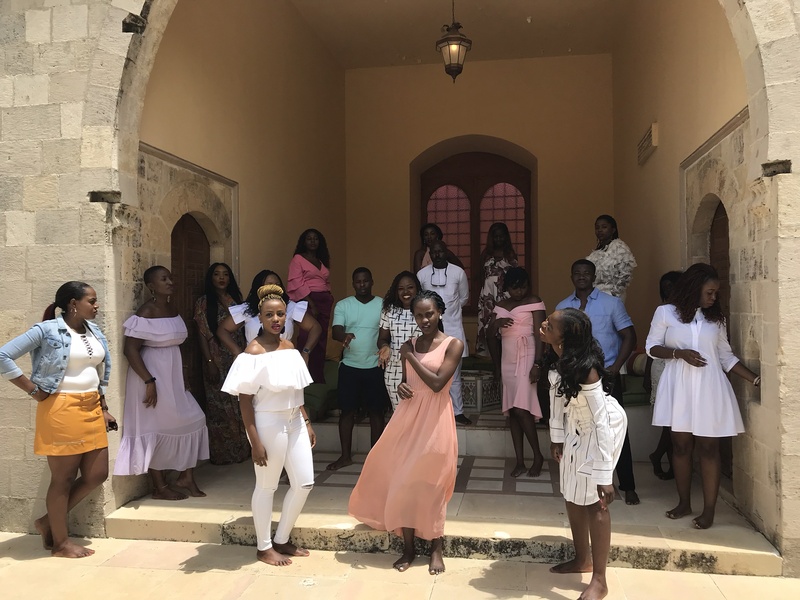 And yes to unlooking – I am even using those skills in Malta now, hahahaha! Thank you hype-girl! Thank you my darling! Love you more Aunty K! I enjoyed reading through!! with smiles on my face all through. Guest Editor!!! Thank you Mrs Coks!!! Your warmth is so contagious! I finally got the urge to visit Lebanon after watching all your IG Stories. I had a friend who used to visit Lebanon yearly and she always talked about how beautiful it is. So I am happily looking forward to my own experience. Nigerians are LOUD & PROUD! You must notice us any where we go especially as a group! Hehehehe! Neneeeeee!!!!!! I would LOOOVE to be on a group trip with you! Let’s make it happen Mama. I have not recovered from the chaos of the Keke experience last December, lol. Thank you for being a forever encourager and cheerleader – I really appreciate you and I will be there for you too! I was grinning alone reading the post. Kemo, you can write sha, as if I went on the trip with you all. Great read as usual. Thanks for always sharing useful notes to help other navigate. Always a good read sis. I like the way you’re taking your “blogging career”..lol one step at a time. It’s better to be a monthly blogger than to do thrice in a month and return after six months (like me…I receive grace to repent..Amen). Thank you sis! Dont be too hard on yourself o with respect to this blogging career o, lol. Pace yourself but most importantly, move by the leading of the Spirit! God gives grace so take it!!! How are the speaking engagements going too? 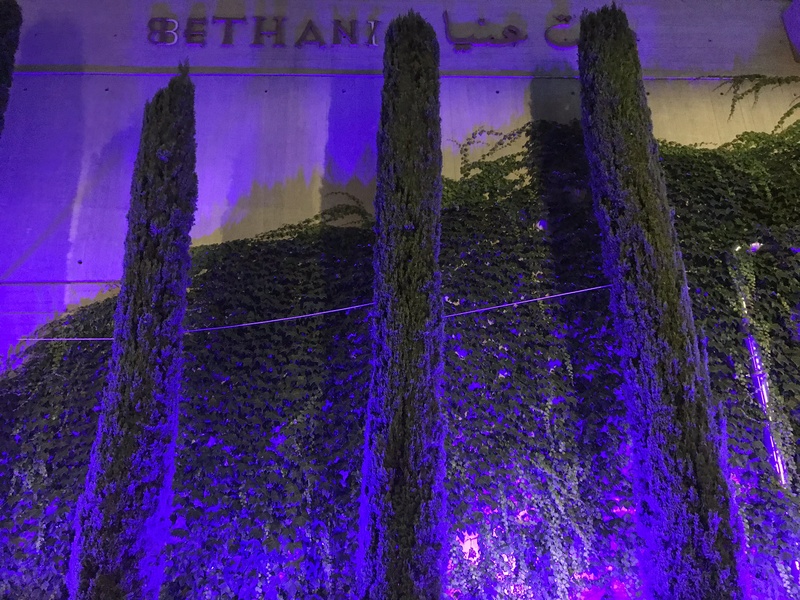 Yess to being like the cedars of Lebanon – strong, sturdy, everlasting! Those trees are thousands of years old, still flourishing and nowhere near extinction. Amazing!!! Lol @ my unlooking pose – glad you approve, lol. You always sound so happy in your posts. Great recap. By God’s grace, Malta will not come out in December. Meanwhile ya learning the work with the unlooking pose. Thank you darling! As you are the queen of unlooking, I am happy that you approve of my efforts, lol. I am usually happy when I am writing so I guess the happiness shines through. I smile and laugh through all of your blog posts. You bring your experiences to life all the time. I had fun reading this edition….🌞Happy Explorer Kemi indeed! Thank you Wanstar!!!! 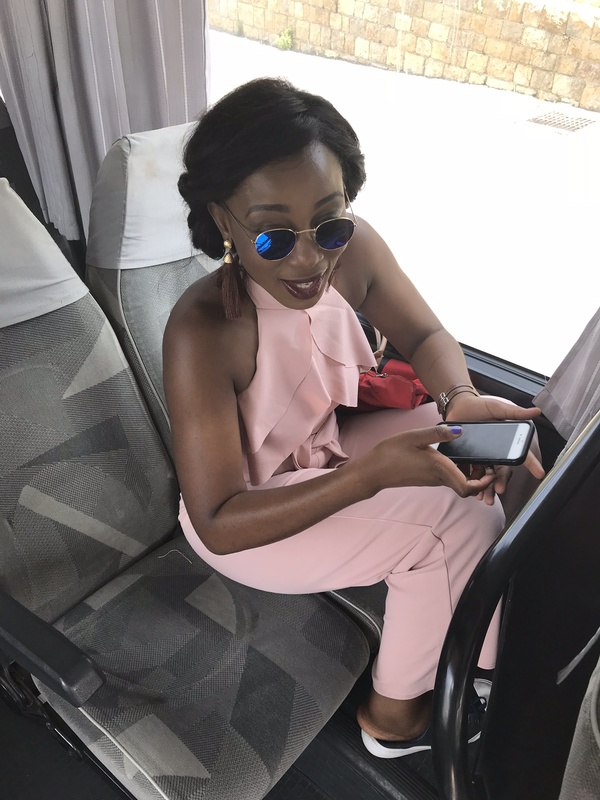 I am glad that you had fun 🙂 You should also check out this one on how I almost missed my flight – you will feel the adrenaline rush! Heaven is forever open and smiling over you so it is only a matter of time before the group trip happens, and I would love to hear about it. Heck, if you even want to write about it, I will be more than happy to have you as a guest writer!!!! Oya o, let me know when!